Our physiotherapy sessions have strong emphasis on hands-on treatment and it is delivered to an advanced level. Muscle energy techniques - A technique that uses light resistance to activate the body's reflexes to restore tissue tension and range of movement in the muscle and joint. Myofascial Release - Specific soft tissue technique to improve movement, posture and function. Craniosacral techniques - Craniosacral techniques is a gentle way of working with the body using very light touch. The body is allowed to activate its own inherent healing capacities to improve dysfunction. Craniosacral techniques works with the whole person and changes may occur in body, mind and spirit during and after sessions. Taping techniques- Using various types of tape to improve better movement, stability or less pain. "She identified the bad habits that had led to the injury, started me on a regimen of exercises to retrain my musculature, manual therapy to improve my tissue function, and gave me my first taste of her energetic, motivational style of coaching"
Exercises are specific to each client's set of circumstances and we consider function and levels of discomfort at all times. Educating patients on correct exercises to regain strength, balance and flexibility. Individualised handouts prepared by your physiotherapist on the day of your session. Maintenance of muscle strength and joint mobility prior to your operation to improve your outcome and prognosis. Working with your Consultant and their protocols but always considering your specific needs and pain levels at the time. 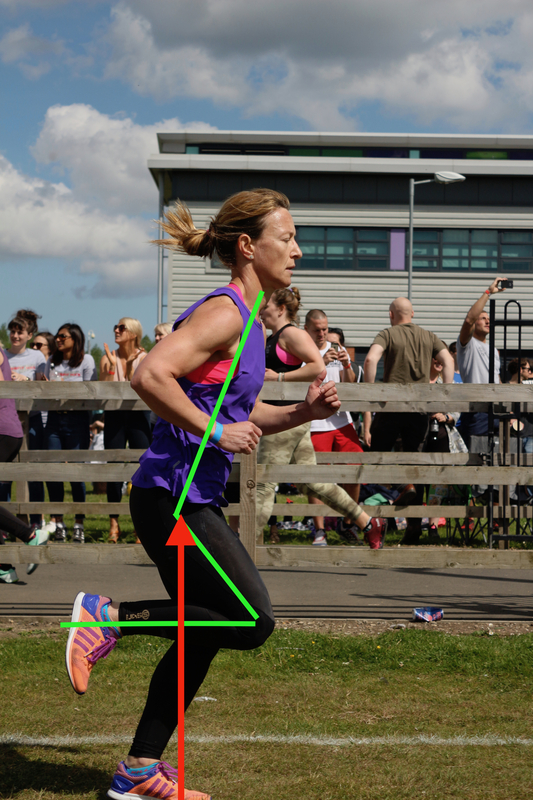 Analysing your movement patterns, muscle strength, joint stability and overall mobility to prevent injury from occurring in your daily life and sport. Acupuncture involves the insertion of very fine, sterile, single use needles into key points on the body to assist the body’s natural healing process, offer pain relief and regain the body’s equilibrium commonly disturbed with injury or illness. Acupuncture treatment is tailored for each individuals needs at the time of attending their appointment. Many individuals are helped by acupuncture every year. 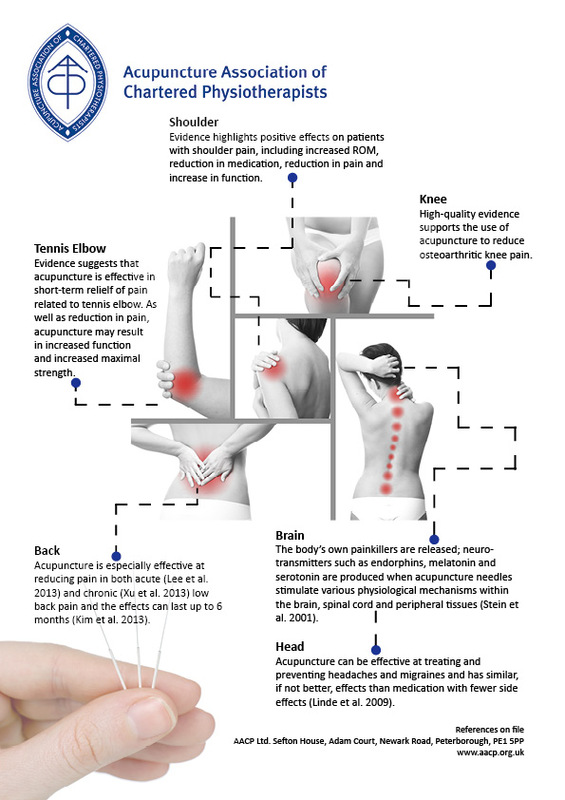 It is a chemical-free, up-to-date and safe way to help symptoms through a western evidence-based acupuncture approach. By managing a patient’s pain, acupuncture often enhances physiotherapy treatments, such as exercise, therefore aiding recovery. Acupuncture is supported by scientific research and clinical evidence and may benefit a range of conditions*, such as Low Back Pain, Osteoarthritis, Tension- type Headaches, Migraines, Anxiety and others. All our Physiotherapists are AACP registered and trained. The AACP, as the largest acupuncture organisation in the UK, represents Chartered Physiotherapists who are qualified to use acupuncture as part of their treatments.